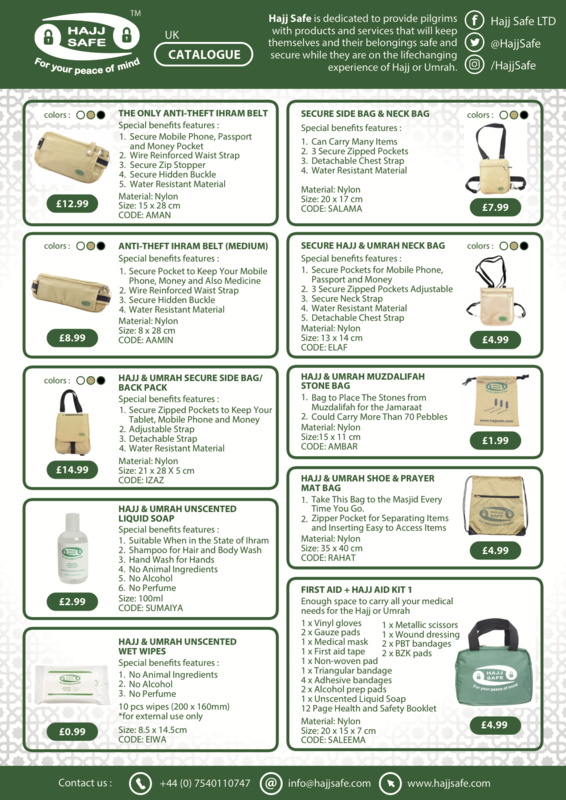 If you are interested in Hajj Safe Products then please get in touch with us directly, we can offer excellent wholesale prices. 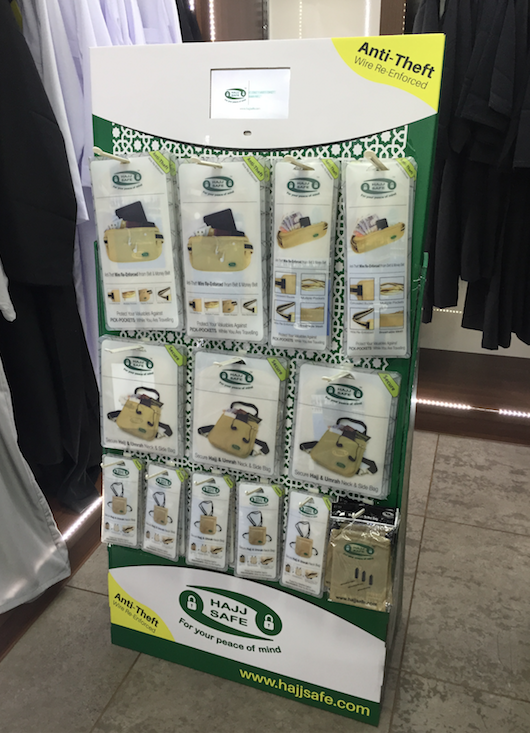 Hajj Safe aims to sell in every country and every city, how we intend to do this is by having a retailer in each city. This way when we get customers on our website we actually pass those customers to local suppliers so they can save on delivery costs and have a more personal service. This way it also promotes your shop and you are able to sell more items insha'Allah.